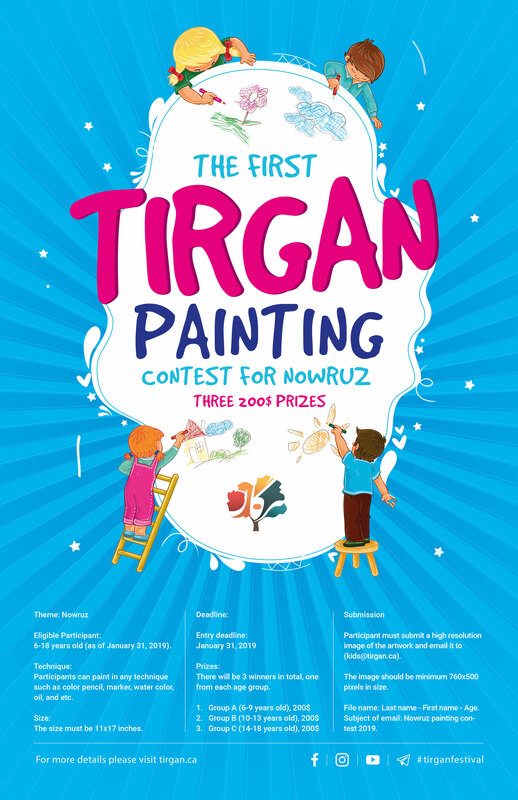 It is our great pleasure to invite you to participate in the first Painting Contest hosted by Tirgan. This contest aims to engage the participants in understanding key concepts, and the importance of Nowruz in Iranian/Persian culture. The event will take place during the Nowruz Festival 2019 at the Toronto Center for the Arts. 6-18 years old (as of January 31, 2019). Participants can paint in any technique such as color pencil, marker, water color, oil, and etc. The size must be 11x17 inches. Prizes awarded: during the Nowruz Festival 2019 at Toronto Centre for the Arts. There will be 3 winners in total, one from each age group. Participant must submit a high-resolution image of the artwork, and email it to (kids@tirgan.ca). The image should be minimum 760x500 pixels in size. Banafsheh Erfanian is a Toronto based visual artist. She was born in Tehran, Iran. She graduated from Tehran University of Art with a Bachelor of Graphic Design and an MFA in Illustration. Banafsheh has illustrated 28 books and magazines and written more than 25 articles in art reviews. Her work which has been exhibited in Iran, Italy, US, Canada, Russia, China, Japan and Serbia, has won awards such as the award of excellence of Golden Pinwheel Young Illustrators Competition, China, 2016; the first Prize of The Second Festival of Text Books Illustration, Iran, 2006, the encouragement prize of the 15th Noma Concours for Picture Book Illustration, Japan, 2004. Among others, Banafsheh has been short listed in numerous illustration and painting catalogues and has been awarded grants from Toronto Arts Council, Toronto Arts Foundation – RBC, and City of Toronto. 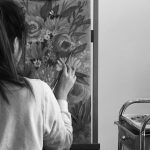 She has also been teaching illustration and painting for 15 years. 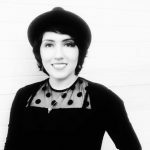 Most recently, she has worked as a mural and installation artist in Toronto and Iran. Participants must be between 6 and 18 years of age inclusively (as of January 31, 2018) at the time of producing the artwork. Artwork size must be 11x17 inches. Entry image should be at least 760x500 pixels. Only high resolution photos will be accepted. Artwork must follow the theme: Nowruz. Artwork must be new; not exhibited, published, or submitted to other competitions. Artwork must be original and created entirely by its artist. Artwork subsequently found not to have been entirely created by the participant will be disqualified. Do not add any text or logo on artwork. Artwork must not contain explicit sexuality, violence, or any discriminatory elements. Participant must keep the original artwork until the Nowruz Festival 2019 (March 10, 2019). Entries must be submitted via the official contest platform – emailed to kids@tirgan.ca. Note: a shortlist of participants will be selected, and their artwork will be displayed for public during the Nowruz Festival 2019 at the Toronto Center for the Arts. Contest winners and shortlisted names may be published on the Tirgan website. تیرگان با افتخاراولین مسابقه نقاشی با موضوع نوروز را با هدف اشنایی کودکان و نوجوانان با این سنت باستانی و اهمیت ان در فرهنگ و اداب و رسوم ایرانیان برگزارمیکند . این مسابقه در سه بازه سنی6 تا 9 سال، 9 تا 12 سال و12 تا18 سال برگزار می‌شود. شرکت کنندگان در انتخاب تکنیک ازاد هستند ( مداد رنگی , رنگ روغن , ابرنگ وغیره). اندازه ی اثر باید 11 در 17 اینچ باشد. اخرین مهلت ارسال 31 ژانویه 2019 میباشد. نتایج و اسامی برندگان 15 فوریه 2019 در وب سایت رسمی تیرگان اعلام خواهند شد. جوایز در جشنواره نوروزی تیرگان 2019 اهداخواهد شد. در هر کدام از بازه‌های سنی یک برنده انتخاب شده که جایزه ی نقدی 200$ را دریافت خواهند کرد. شرکت کنندگان باید از اثار خود عکس گرفته و ان را به ایمیل ادرس زیر ایمیل نمایند. عکس ارسالی باید با کیفیت و واضح باشد( حداقل500 در760 ) . نام فایل ارسالی باید ( نام فامیل- اسم –سن ) باشد. موضوع ایمیل خود را مسابقه نقاشی نوروز 2019 انتخاب کنید. 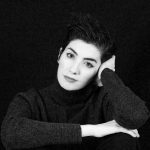 سن افراد شرکت کننده باید 6 تا 18 سال باشد. عکس ارسالی ازاثرباید با کیفیت بالا , واضح و خود اثر در سایز 11 در 17 اینچ باشد. اثار باید بر اساس موضوع مسابقه( نوروز) باشد. شرکت کنندگان میتوانند تنها با یک اثر در این مسابقه شرکت نمایند. اثار ارسالی باید جدید و برای شرکت در این مسابقه خلق شده باشند . لطفا از ارسال اثارگذشته که برای مسابقات دیگر فرستاده شده اند خودداری فرمایید. اثر هنری باید اوریجینال بوده و کپی یا تقلیدی از اثار دیگران نباشد. لطفا از نوشتن هرگونه نام , متن یا نوشته بر روی نقاشی پرهیز نمایید. ازنمایش هر گونه خشونت وتبعیض نژادی , جنسیتی و اعتقادی خودداری فرمایید. لطفا از اثار خود تا پایان جشنواره ی نوروز( 10مارچ 2019) نگهداری کنید. تنها راه ارسال نقاشی ها از طریق ایمیل تصویر اثر به ایمیل ادرس معرفی شده میباشد. تعدادی از اثار برگزیده در طول جشنواره نوروز2019 در تورونتو سنتر فورد ارت برای عموم به نمایش گذاشته خواهند شد. اسامی برندگان و اثار برگزیده در وب سایت رسمی تیرگان اعلام خواهد شد.